If you are a teacher, you may be obsessed with office supplies, storage, or classroom gadgets. Just a hunch. Want to check out a few of my favorites? Read on! I spent some more time in my disaster of a classroom #justkeepingthingsreal today, and I started unpacking different boxes to begin the process of “reassembly”. 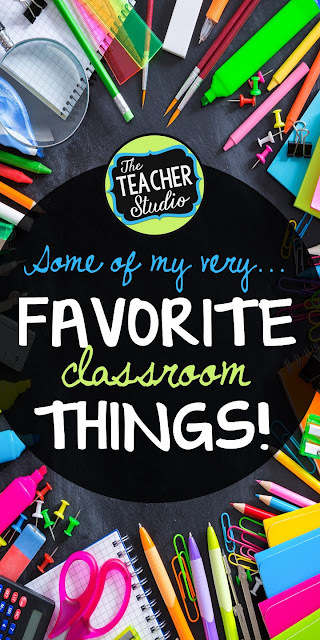 I thought it might be fun to share with you a few of my classroom “must haves”! Note, there are affiliate links in this post. The first thing I unpacked (because it required no thinking!) was my mobile math cart! I love being able to move this around my room–from my large group area to ALL the places I meet with small groups. 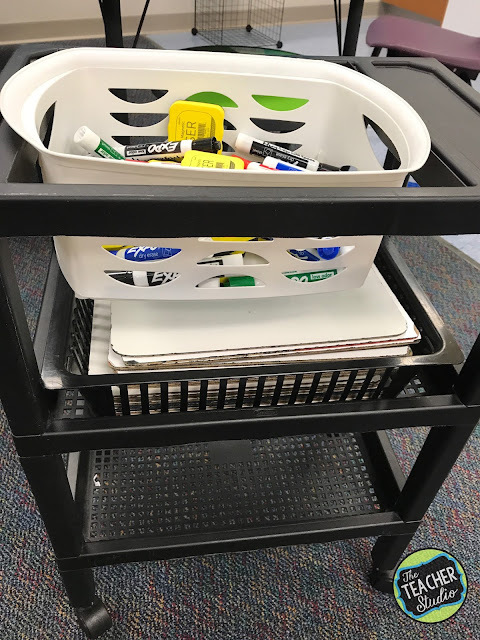 It has a bin of white boards, a tub of Expo markers and erasers, and then other “stuff” on the bottom shelf that varies depending on what we are studying…could be number lines, manipulatives, calculators, graph paper–you name it! It keeps all those things at my fingertips and allows students to easily return these items to their proper spot. The next thing I want to share was a new purchase two years ago–these collapsible book easels. 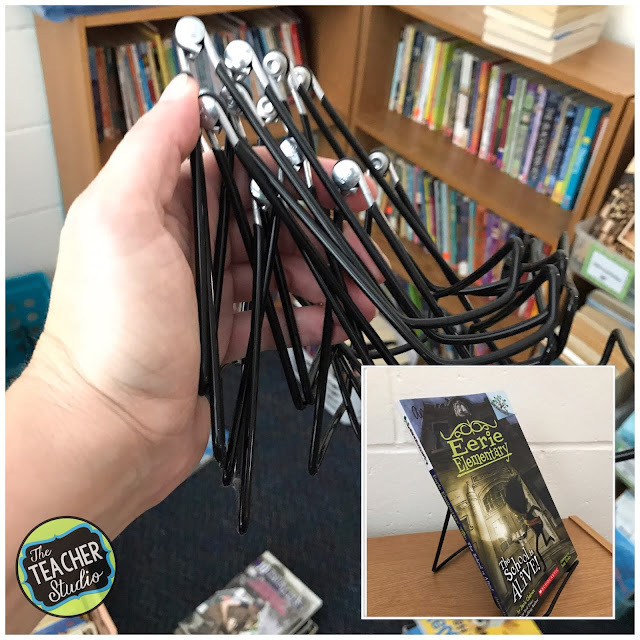 I have them all around my reading area to showcase new books, books related to a genre we are studying, “forgotten” books (I love finding great books that students may not have heard of to showcase), books I share during a book talk, or even content area books. I bought a set of them and they are always full! I also love to have student helpers pick favorite books to highlight as well! As I unpacked a crate of office supplies, I couldn’t help but pause over my prized stapler. If you are like me, you probably have 9 of them–none of which work well. 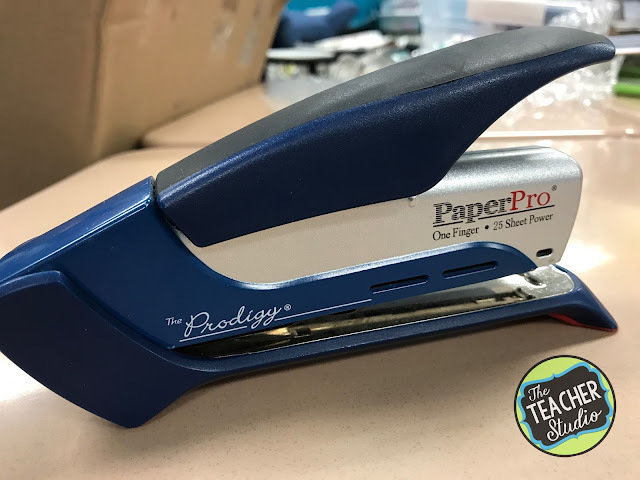 This one has been A-MAZE-ING for me…it is like a power stapler that has a super easy “touch”. I am thinking of splurging on a second one–and have given it as a gift to new teachers as well! I don’t have a pen addition. Really. OK…let’s talk writing utensils. I have a bit of a problem–I can’t lie. I may or may not have a little problem when it comes to my favorites. 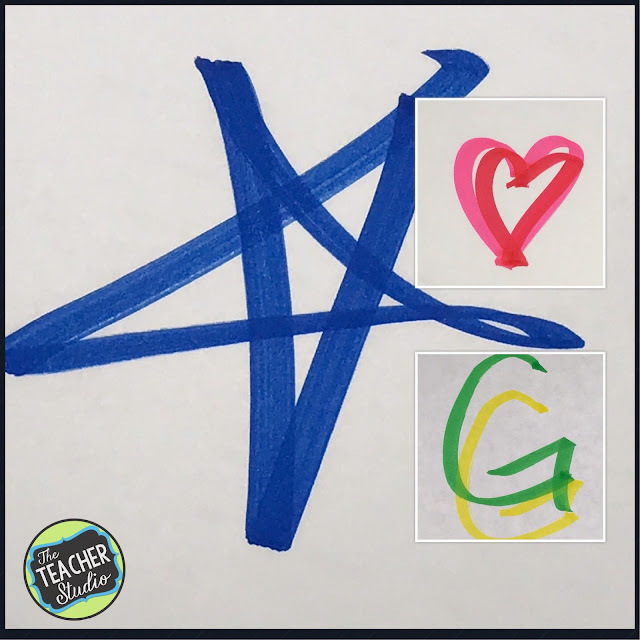 I thought I’d share a few–in case I can spread my love to at least one more teacher. Let’s talk pens first. 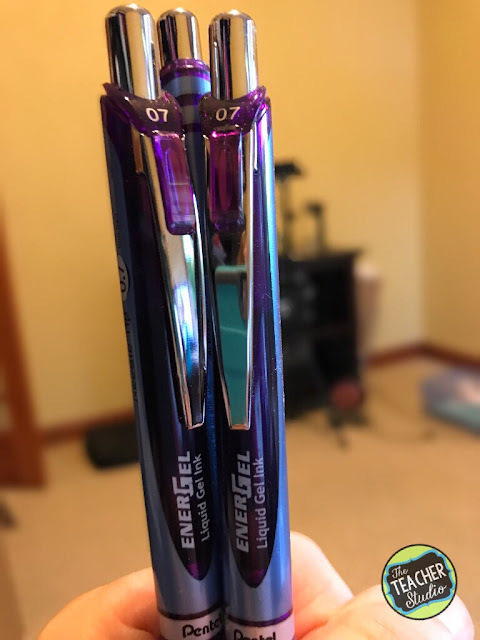 I am a bit of a pen snob–and this is my all time favorite! It comes in a few colors–but purple is my color…so I typically buy purple–until I saw the multipack I listed below! I love the smoothness of the ink and they last a really long time! Now for markers. I make a TON of anchor charts, and I really use color to highlight different components of my chart so Mr. Sketch markers are my favorites. I like that I can use the wide side for titles and the thinner edge for lettering. But this is only one way I use them…my students’ favorite is for signing their assignment books. Every single day my students fill out their planners, and I’m trying to build good habits with them. 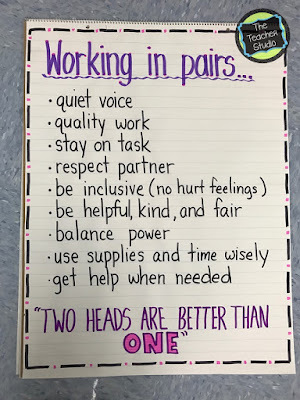 I ask them to share their planner at home with SOMEONE (I don’t like to require parents because it puts pressure on families with complicated work schedules, and so on)–it could be a parent, a big sister, a childcare provider–anyone who is home with the student. If they initial it, that counts! When the students bring the planner back the next day, I “star” their initial with a smelly marker. 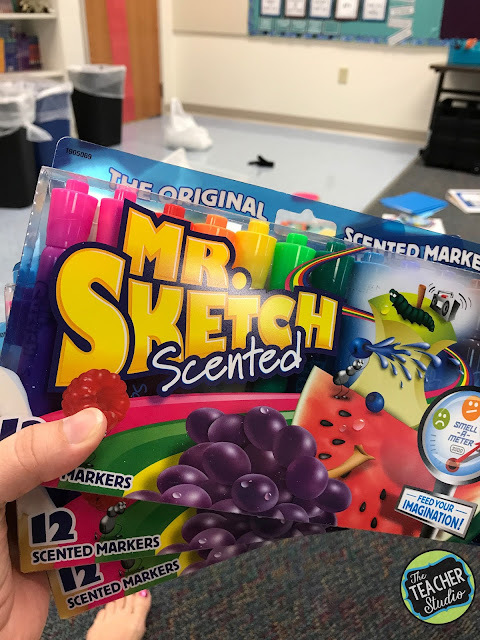 The students love to see which marker I am going to pick…and then on special days (Valentine’s Day…Packer games…you get the drift), I may just get a little creative! I also use the markers to write special comments home like “GREAT job in math today!” or “Max was a great friend today!” or “Ask Anne about her story!”. The bright colors (and smells!) make sure families see the messages and encourage students to share them. I’m not going to lie–I may have ordered 3 more packs. 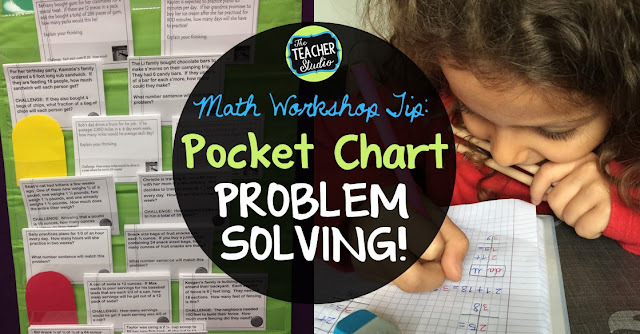 Finally…as I started to put together my math area, I was reminded of how I could not live without my pocket charts. I keep them up on my walls all year and keep a revolving collection of word problems in them. Sometimes I have them tied to our current unit…sometimes they are “seasonal”…sometimes they are tied to our content (like human body). I keep a nice collection printed and cut and ready to glue into math spirals! 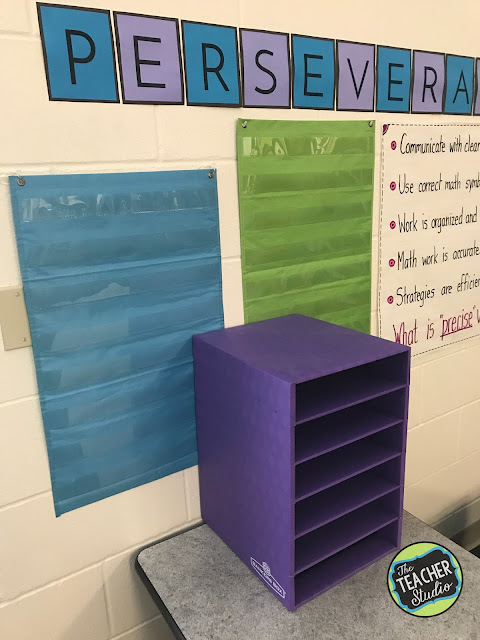 I used to use this chart until I changed the color scheme of my room…but I loved the fact that you could use the charts together or separately. So there you have it! 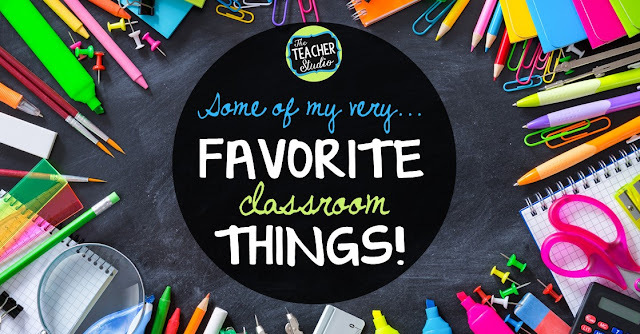 My musings after my first day back in my classroom–and some of my “must haves”. I hope you all have a wonderful school year!